Delicious candy bar, Rocky Road. Each classic bar is filled with luscious, puffy marshmallow, creamy and delicious milk chocolate, big chunks of roasted cashews, and rich, crispy malt. With 24 candy bars per box, you’ll have a lot of chewing to do. Buy some for a cashew and chocolate fan. Even stock yourself up for upcoming Halloween trick. You will enjoy these classic candy bars, your taste buds arehappy. 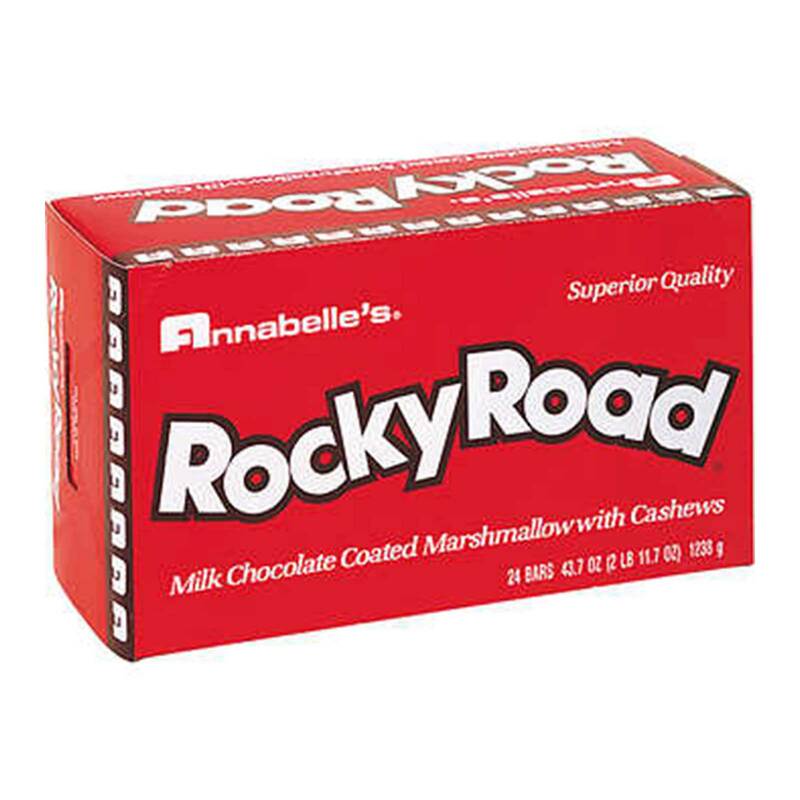 you can buy ROCKY ROAD in bulk at a wholesale price from Volt Candy Online. Never had a candy with as much exciting taste as this. Highly recommend.